Moss Folk’s Andrew Shelp grew up listening to Pink Floyd, Neil Young, Buffalo Springfield, Crosby, Stills, Nash & Young, the Animals and the Velvet Underground. 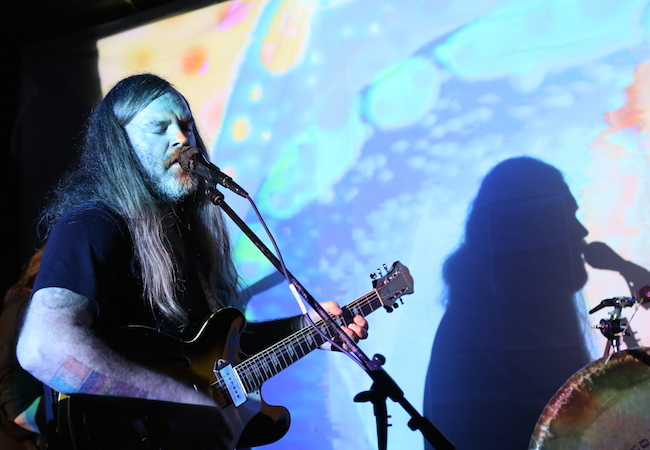 A love of psych music and anything with a healthy dose of distortion and reverb fueled the birth of Shelp’s now-annual Milwaukee-based festival, Psych Fest, which draws likeminded artists from around the globe to perform for a full weekend of shows. Moss Folk was the foundational band on which Psych Fest began. Moss Folk’s live shows have been described as “blistering and exciting” and the band has spent their years in Milwaukee rotating through a cast of numerous musicians but always collectively spinning the same web of hypnotic music in one of the many veins of Shelp’s lauded psych genre. Droned guitars, subtle changes and heady atmospherics all help to create a cocoon of haze that is Moss Folk’s hallmark sound. Tune into WMSE’s Local/Live Tuesday, April 9th, to listen to songs from Moss Folk ahead of this year’s Psych Fest. WMSE.org to stream live or in the archives or simply tune your radio to 91.7 FM at the 6 o’clock hour.